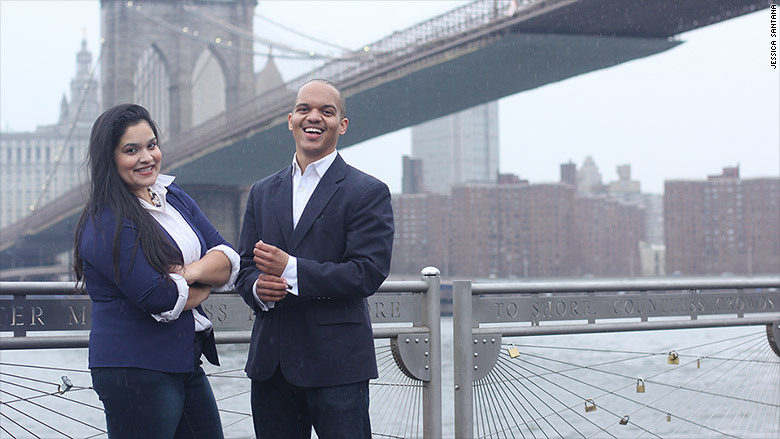 Jessica Santana with New York On Tech co-founder Evin Robinson. Two years ago, Jessica Santana left her six-figure, management track job at a top global accounting firm to teach New York City teenagers how to code. After graduating from college with degrees in business and technology, Santana had jumped right into the accounting and technology world, working in "predominantly white and male settings" and earning nearly four times her parents' annual income. But she felt isolated. "My entire career, I had mentors who weren't from low-income backgrounds. There were no people who reflected my story," she said. She decided that she wanted to help more people from low-income backgrounds get the opportunities that she got. With very little sleep and an initial $100,000 that she spent five months raising through grass roots fundraising, investment grants and other efforts, Santana and co-founder Evin Robinson, launched New York on Tech -- a nonprofit organization that helps underrepresented students attain degrees and careers in technology. Raised in public housing in East New York, Brooklyn, Santana grew up surrounded by poverty, crime and violence. At 16, she noticed that many of her friends started dropping out of school. But her mom made sure that wouldn't be a part of Jessica's life story. "Live your life by decision, not by default," Santana recalled her mom telling her. And that's exactly what she did. 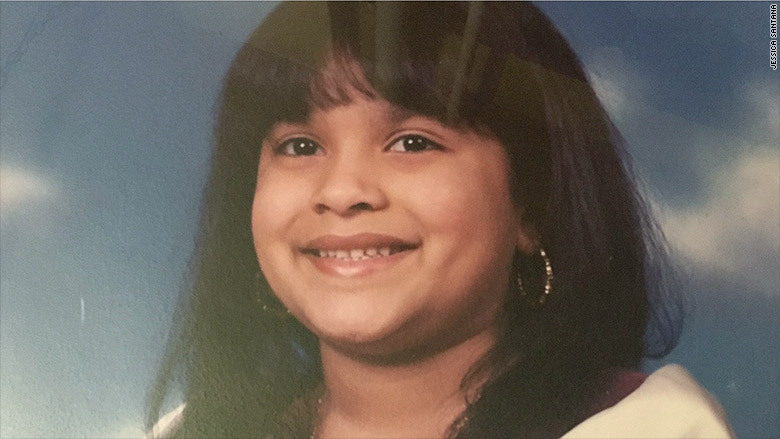 She graduated valedictorian from high school and enrolled in Syracuse University on a full scholarship, earning both her bachelor's and master's degrees there. After college, she got a job as a technology consultant at Deloitte Consulting, then became a senior tech consultant at Accenture. Just two years old, New York On Tech has expanded throughout New York's five boroughs and has introduced 135 students to careers in technology. "Our goal is to get to a point where we can work with a thousand students on an annual basis," she said. My mom and dad migrated here from Puerto Rico. I think it was the late 1950's. My dad came first and my mom followed one year later. They were very poor and lived in a very rural area. Their move here was a way to empower themselves economically and provide a sustainable future. My mom was a seamstress and my dad moved boxes. 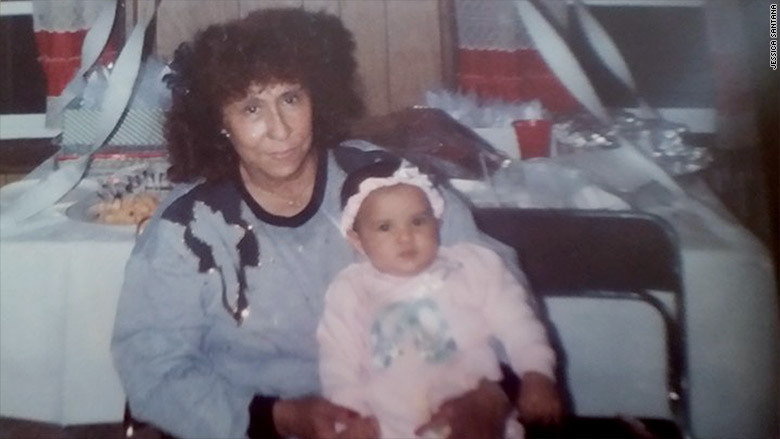 Santana as an infant with her mother. Their economic situation was the typical migrant story. It was more about coming here to start anew, as opposed to perpetuating cycles of poverty. They were pretty resourceful. Every Sunday, my mom would cook a huge pot of rice and beans and call the neighbors from other floors to give them plates of food to bring back to their families. They didn't have a lot, but were able to share. That was a very important value they instilled in me early on. The Brooklyn that I know is very different from the Brooklyn that's been gentrified. I grew up in an area that still doesn't have access to the basic resources low-income people need to survive. Though neither of my parents went to college, they knew that education was the avenue out of poverty. Santana grew up in East New York, Brooklyn. They always made me feel that I could achieve anything, but I had to make an intentional decision to do so. I participated in a lot of enrichment programs in high school, but none of them were based in my community. I would have to leave to learn about things like photography and entrepreneurship. Those activities helped me to identify mentors and information about colleges. I was fortunate that my school partnered with a non-profit giving out free computers to students. Access to AOL and MySpace piqued my interest. What was your biggest hurdle and how did you overcome it? My biggest hurdle was proving to myself that I could get to college and then blocking out the people who had low expectations of me. I represent a lot more than my individual values. I take that very seriously. I represent Latinas, women, people of color, low-income communities, entrepreneurs and people who are trying to make a difference in the world. I always make sure that the things I do are in the interest of that. Santana graduated from Syracuse University in 2011. 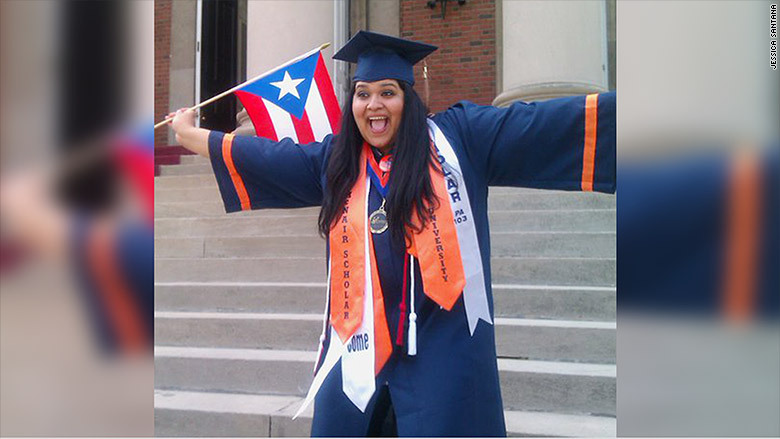 She went on to earn her Master's from Syracuse in 2013. Do you think you were given fewer opportunities to get ahead? If you give people good information, you empower them to make good decisions about their life. I don't think I had fewer opportunities. I think I had less access to information to be able to access those opportunities in the first place. Why did you pursue degrees in business and technology and what opportunities did you think it would afford you at the time? In high school, I participated in programs that introduced me to accounting, business and entrepreneurship. I learned the power of innovation early on. This exposure was very important and paved the way for what I'm doing today. 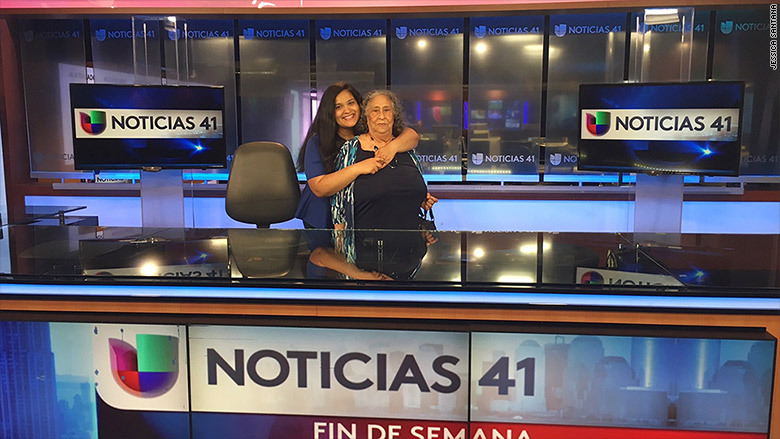 Santana with her mom at the local Univision station, where she has a recurring segment "Technolochicas," about motivating young Latinos to work in technology. Why did you leave your career in Corporate America? Because I pursued degrees in business and in technology, I've worked in predominantly white and male settings. Three months after graduation, I realized I was already making more than four times my parents' annual household income. When I couple the imposter syndrome I felt, with the things I achieved professionally in a short time span, I started wondering: "How did I get here?" And, "how did I get here?" became, "how do I get other people here with me?" That's when the idea for New York On Tech first came about. 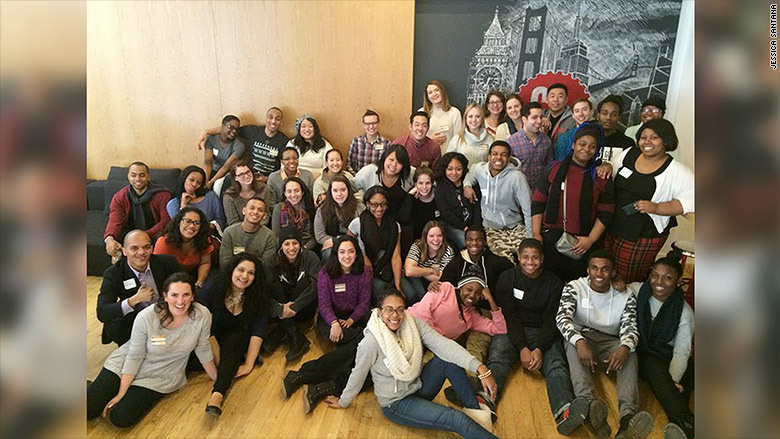 New York On Tech has introduced roughly 135 students to careers in technology. My entire career I had mentors who weren't from low-income backgrounds. There were no people who reflected my story. I realized that me and my college friend, Brooklyn neighbor and now business partner, Evin Robinson, could reach underrepresented students. We understand it's not just about teaching students how to code. You have to teach students about leadership, public speaking and other professional skills, and then align them with the people that can actually accelerate their interest so that they're able to empower themselves and their families later on. Is there one thing that you do every day that grounds you and helps you to achieve your goals? When I was growing up, my dad would wake up at 4:30 a.m. and sit by the window drinking his tea for 10 to 15 minutes every day, and then he'd be on his merry way. He still does this. There's nothing that can separate my dad from his tea in the morning. Because of that, I get up around 4:30 a.m., drink a cup of green tea by my window and then I either take an extra 15 minutes of sleep, or I start my day. How do you define success, and do you think that you have achieved it? I don't think I'll know if I've achieved success until my spirit goes. When I'm an old woman I want to be able to look back at my life and say I did everything that I wanted to do. Even if I didn't succeed, I at least tried.